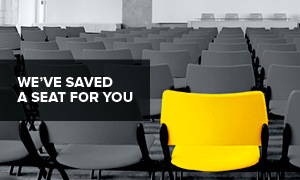 Promutuel Insurance Rive-Sud: we insure you better. 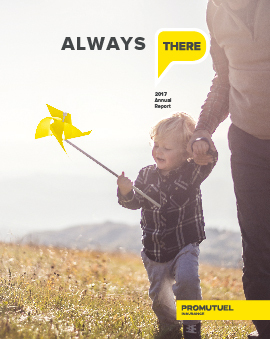 We've been insuring people in Saint-Gervais, Lévis, Saint-Damien, Sainte-Justine, Saint-Michel, Saint-Raphaël, Rivière-du-Loup, l'Isle-Verte and Trois-Pistoles for so long, we know your needs better than anyone. That's why we can offer you the best home, car, business or farm coverage for your budget. Welcome to Promutuel Insurance, your home away from home! 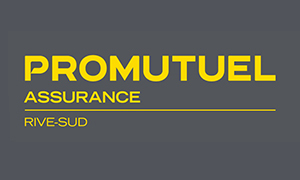 Insured members of Promutual Insurance Rive-Sud are invited on Tuesday, March 12, 2019, at 7:30 p.m., at the Chalet des sports, Gilles-Moreau room, located at 200, côte de la Mer in Notre-Dame-du Portage. In case of cancellation, the meetings will be rescheduled for March 13, 2019, at the same time and location. Transportation is offered to our insured members. We hope that many of you will be able to attend these meetings! Please consult the meeting notice (french only). Raphaël Desbiens of Lévis is the first winner of Québec’s “$1,000 For Me, $2,000 For My Community” contest. Anyone who requested a quote between January 29, 2017, and August 6, 2017, was entered in the draw, which was held on August 22. 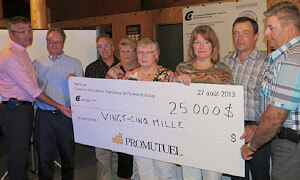 Simply by requesting a quote from Promutuel Insurance, he won $1,000 and was able to donate $2,000 to the charity of his choice—Fondation pour la sauvegarde de la truite mouchetée (FSTM) (French only), whose mission is to raise awareness among young people of the importance of protecting aquatic habitats and to fund university research projects to develop and improve spawning ground and habitat management techniques. Congratulations, Mr. Desbiens, and thank you for your generous donation! Request a quote between August 7, 2017, and March 5, 2018, to be entered in the next draw on March 21, 2018. A contest and a few surprises at Saint-Anselme! 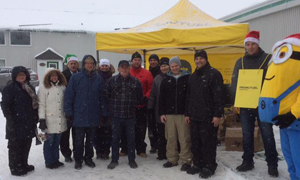 On Saturday, December 17, the Promutuel Insurance Rive-Sud team visited the Saint-Anselme IGA cooperative to delight passersby with mountains of gifts and unlimited smiles! In all, 200 snow shovels, 250 shopping bags, as well as coffee and cookies were given away. Cheered on by their “Minions” mascot, the team also drew five prepaid cards valued at $100 each to give to customers at the store. The winners were taken by surprise at the checkout just as they were getting ready to pay for their purchases. 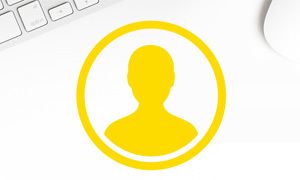 Say hello to Promutuel Insurance Rive-Sud! Promutuel Insurance Bellechasse-Lévis and Promutuel Insurance Rivière-du-Loup have joined forces and on December 30, 2015, officially became Promutuel Insurance Rive-Sud. 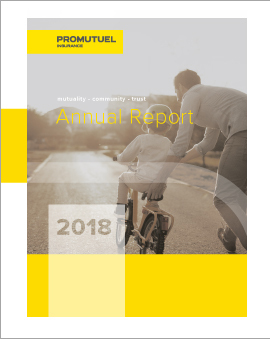 “We’re very proud of this merger, which lets us continue to build on our strength as a mutual and positions us strategically in a competitive market,” noted Promutuel Insurance Rive-Sud general manager Mario Montminy. “Our insured members’ satisfaction has always been our #1 priority. This agreement shows that we're ready to embrace change to better meet their needs." The new Mutual’s head office will be in Saint-Gervais. To provide the same outstanding service throughout the merged territories, the offices of the two former mutuals will remain open. For more information, see the press release(French only). Promutuel Insurance Bellechasse-Lévis is pleased to announce the winners of its “Take a Payment Holiday for 1 Year” contest. Congratulations to Jacques Beauchemin and Suzanne Duchesneau! 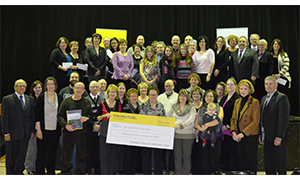 On Thursday, January 22, 2015, Promutuel Assurance Bellechasse-Lévis held a cocktail reception at the Centre socio-culturel de Saint-Gervais, where it awarded more than $110,000 in grants to some 32 community organizations as part of the “Projets coup de cœur” initiative it launched in the fall. More than a hundred people were in attendance to join in the festivities and receive their awards. 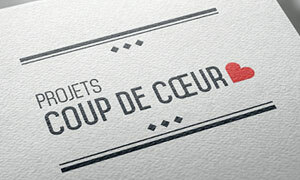 The purpose of the “Projets coup de cœur” initiative was to provide financial support to help organizations realize projects likely to have a positive impact in the community. 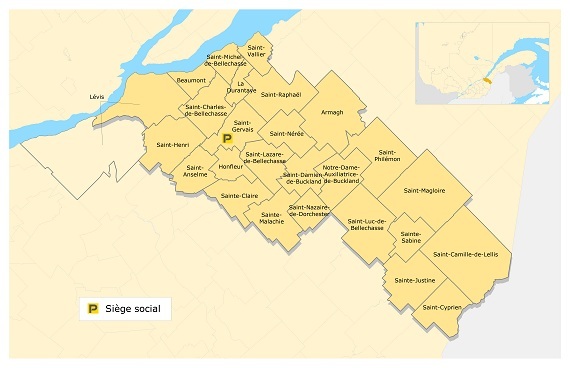 The initiative ran from September 15 to October 10, 2014, within the area served by the Mutual Association, namely in the following municipalities: Saint-Gervais, Lévis, Saint-Damien, Saint-Michel, Saint-Raphaël and Sainte-Sabine. In anticipation of the extraordinary general meeting, which will take place on November 12, here are two by-laws that will be submitted to the insured-members for adoption. We remind you that this meeting will be held at the Centre communautaire de Saint-Lazare, starting at 7:30 p.m. We hope to see you there! Please note that effective October 1, 2014, the Prompt Support protection is no longer offered by Promutuel Assurance Rivière-du-Loup. Share your favourite local organization! 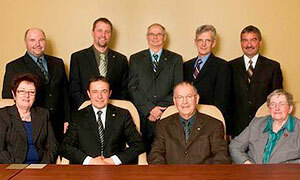 Insured-members of Promutuel Assurance Bellechasse-Lévis ! Submit your favourites for a project by the non-profit organization (NPO) or cooperative of your choice, and we could give it up to $10,000 to make it a reality. YOU HAVE A PROJECT IN MIND THAT WILL HAVE POSITIVE BENEFITS FOR THE COMMUNITY? Let us know by completing the candidature form available in our six points of service or by clicking this link) and by sending it to us by 4:30 p.m. on October 10, 2014. Individuals whose projects are retained will be invited to the favourites gala on November 29 in Saint-Gervais. In total, Promutuel Assurance Bellechasse-Lévis will remit $125,000 in dividends to the population’s favourite organizations! 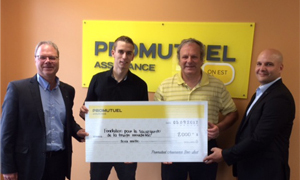 Promutuel Assurance Rivière-du-Loup is proud to announce the winner of its Take a Payment Holiday for 1 Year Contest, which drew entries from 21 of the region’s farmers. Congratulations to Cuma Lamy, the lucky winner! 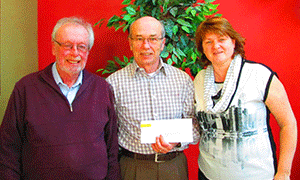 In the photo: Mr. Claude Boucher, Insurance Agent, Ms. Julie Gagnon, Secretary and Mr. Robin Ouellet, President. 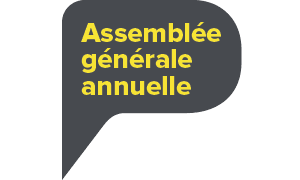 Promutuel Bellechasse-Lévis, société mutuelle d'assurance générale rappelle que son assemblée générale annuelle se tiendra le mercredi 12 mars 2014 à 19h30 au Centre communautaire de Saint-Lazare, 128 de la Fabrique, Saint-Lazare-de-Bellechasse. Following the fire that occurred on the night of January 22 to 23 at L'Isle-Verte, Promutuel Rivière-du-Loup expresses its sympathy to the families of the victims and the injured, the employees of the residence and the entire community. Guided by its values of solidarity and mutual aid, the Mutuelle has decided to implement a free professional listening service specifically for its affected insured-members, employees and residents of Résidence du Havre and their respective immediate families. The phone line is accessible 24/7 and offers victims’ loved ones the possibility to benefit from free psychological support from health professionals. In August, it was our great pleasure to welcome presidents and general managers from Promutuel branches across the province for a golf tournament benefitting the Carrefour d’Initiatives Populaires de Rivière-du-Loup. After the tournament, we presented them with a cheque for $25,000. Promutuel Rivière-du-Loup had the honour of receiving presidents and general managers from Promutuel branches across the province as well as senior figures from the Fédération Promutuel for an annual golf tournament for managers. 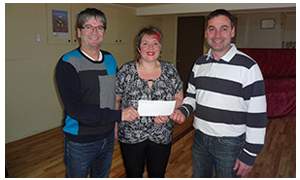 The tournament raised $25,000, which was donated to the Carrefour d’Initiatives Populaires de Rivière-du-Loup. Golfers were charmed by our warm welcome and our beautiful little corner of the province. 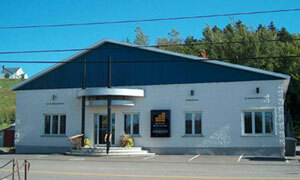 In 2013, Promutuel Rivière-du-Loup proudly celebrated its 100th anniversary. 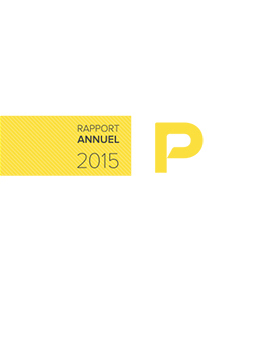 A hundred years of loyal service to our clients! 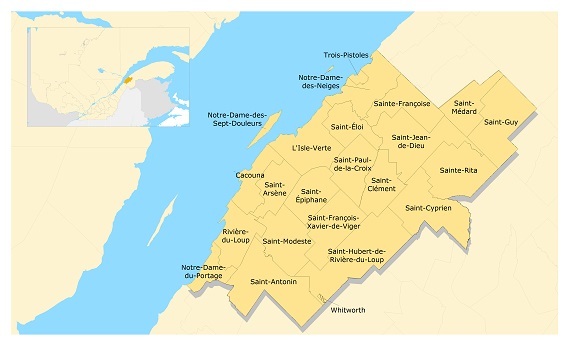 The companies that would one day become Promutuel Rivière-du-Loup began in 1913 in Saint-Patrice and in 1916 in L’Isle-Verte. It was the merger of these two mutual associations that created Promutuel Rivière-du-Loup as we know it today. Thanks to the hard work of our founders and those who succeeded them, we can celebrate our 100th anniversary this year. Thank you to everyone who helped make our Promutuel what it is today! 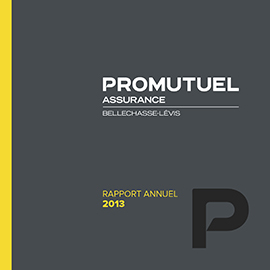 Promutuel Insurance Rive-Sud, created on December 30, 2015, is the result of the merger between Promutuel Insurance Bellechasse-Lévis and Promutuel Insurance Rivière-du-Loup. To position themselves strategically in a competitive market while continuing to build on their strength as mutuals, the two mutuals decided to join forces to better meet the needs of their insured members. The new mutual's head office is in Saint-Gervais. To serve all its insured members throughout the merged territories, it also has offices in Lévis, Isle-Verte, Rivière-du-Loup, Saint-Damien, Sainte-Justine, Saint-Michel, Saint-Raphaël, and Trois-Pistoles. 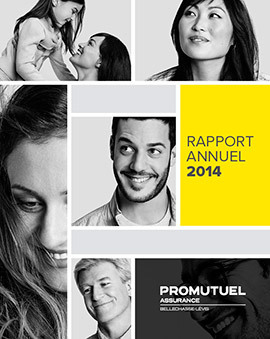 Promutuel Insurance Bellechasse-Lévis had already undergone two previous mergers. In 1979, fire, lightning, and wind insurance mutuals in Saint-Michel, Saint-Nérée, and Saint-Gervais combined to create the fire insurance mutual, Société mutuelle d'assurance contre l'incendie de Bellechasse. At the time of the merger, the mutual posted a premium volume of $650,000. Then in 1987, a fourth mutual in Saint-Magloire joined their ranks. Until 1984, business was conducted out of a rented basement suite in a house. 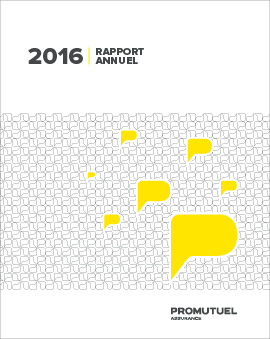 In April of that year, to accommodate the growing mutual's needs, the board of directors decided to build a head office in Saint-Gervais. In 1913 and 1916, two rural parishes in Rivière-du-Loup county, Saint-Patrice-de-Rivière-du-Loup and Saint-Jean-Baptiste-de-l'Isle-Verte, laid the groundwork for their fire, lightning, and wind insurance mutual. Despite these humble beginnings, they grew rapidly. They provided good coverage for their members by listening to their needs. "We continually serve you better" was always their motto! 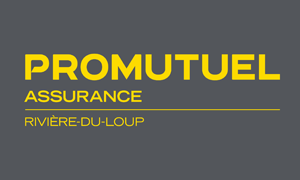 In order to meet their members' ever-growing needs and expand as much as possible, the two mutualsmerged in 1978 to form the general insurance mutual, Société mutuelle d'assurance généralede Rivière-du-Loup, known today as Promutuel Insurance Rivière-du-Loup. Promutuel Assurance Rive-Sud subscribes to the principle of equity as regards employment and ensures the confidentiality of the processing of the correspondence.